Versatile as it is, the midi skirt is an item of juxtaposition. The longer skirt’s feminine shape creates a dressy appeal, but its soft fabric and flowing silhouette easily make it a casual staple for any wardrobe. So, is the midi skirt meant for a day at the office and running around town, or should it be saved for nights out? Luckily for us, we don’t have to choose. The midi skirt can be worn both casually and dressy depending on how you style it. 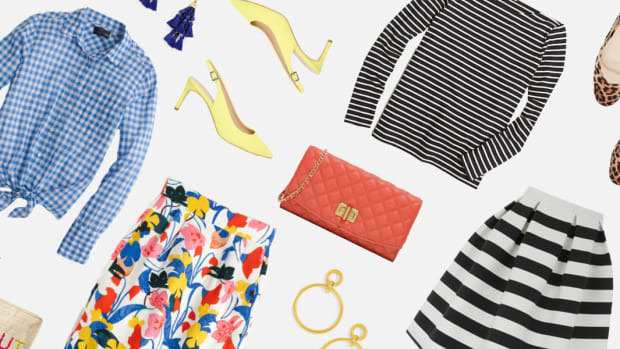 With just a few simple outfit changes, you can take your midi skirt from day to night. Here’s how. 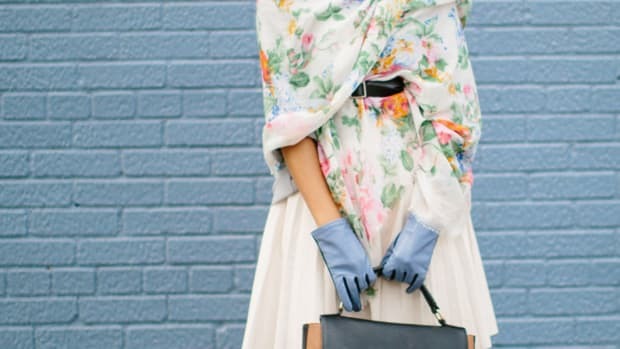 When styling a traditional black midi skirt for the day, you want to choose complementary items that convey a laid-back attitude but with refinement. A denim jacket, for example, walks the line between fancy and casual because of its structured silhouette but casual material. 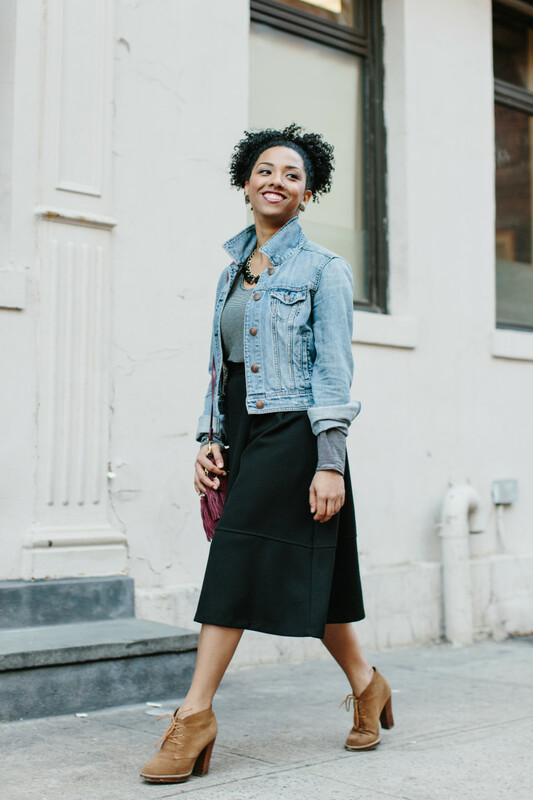 When pairing a denim jacket with a midi skirt, you immediately dress up the jacket while simultaneously dressing down the skirt—creating a perfect balance for daytime chic. Bonus points if you add some stylish flair with a popped collar. A simple cotton tee underneath and lace-up heeled booties in a complementary color to your skirt will complete the look. Brunch with good friends or running some afternoon errands never looked better. Dark monochrome color schemes immediately make for a more nighttime look. 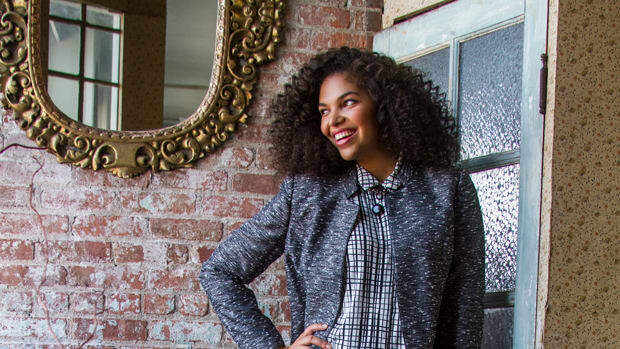 To create a dynamic daytime ensemble, incorporate bold colors and prints into your outfit. Remember that cotton tee we suggested you wear? Make it a bold stripe or other fun print. And how about what you’re carrying? 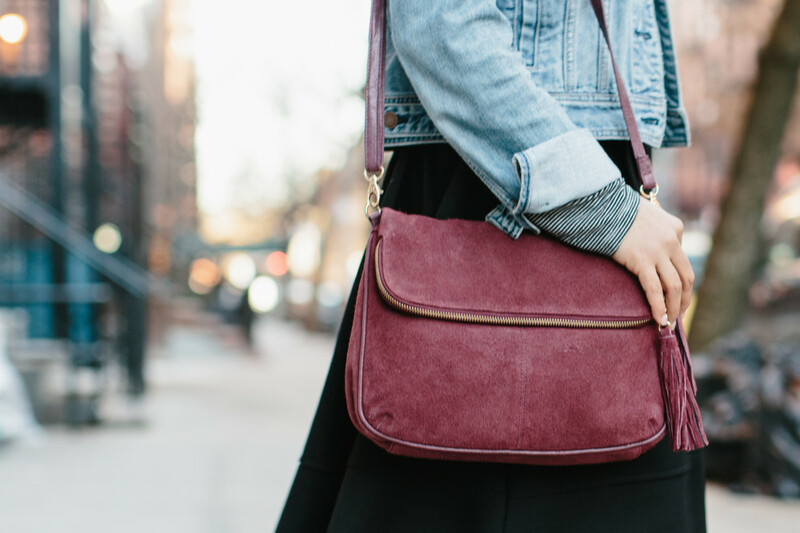 The easiest way to add color is through accessories, like this suede burgundy purse. Colorful elements will give your outfit an overall fun and carefree vibe, perfect for brightening up your day. Get quirky with your jewelry. You’ve created a classic canvas with your tee, denim, and solid-colored skirt, so some fun jewelry with chunky gems or stones will be just what you need for the final pop of daytime fun. Transformation time! 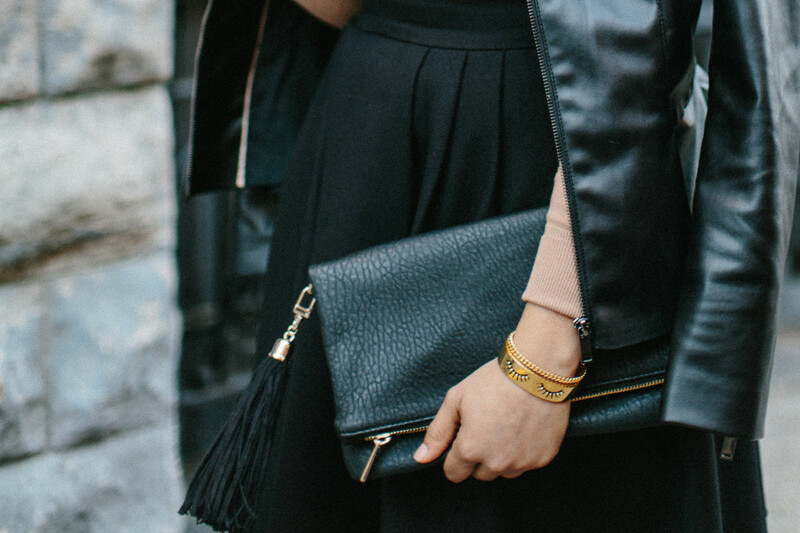 The key when dressing up your staple black midi is to incorporate elements of luxury. 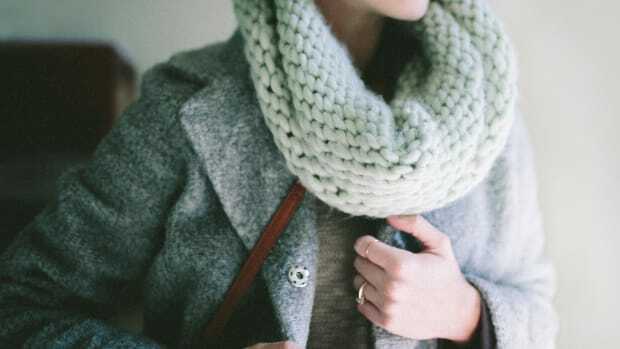 Rich textures and a monochrome color scheme will instantly dress up your look, making your outfit appropriate for a date night, going out for drinks, or a snazzy concert. 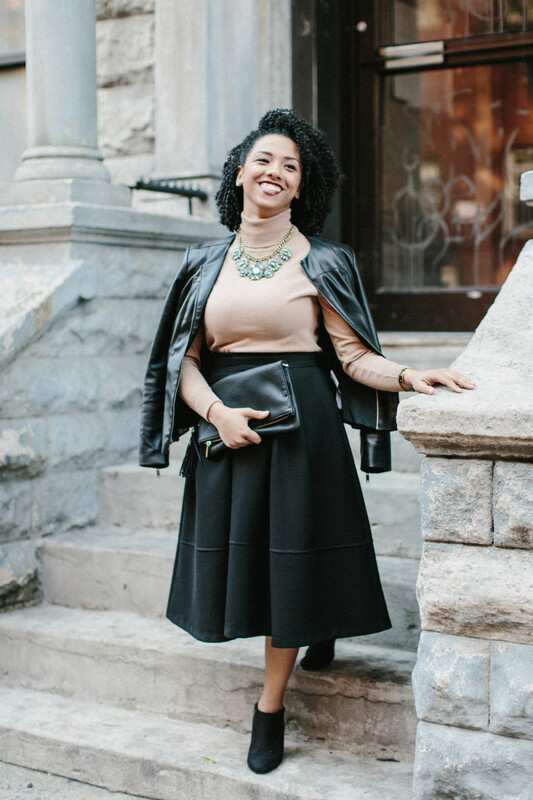 A sleek and structured leather jacket will add an element of high quality, balancing out the softness of the skirt. When choosing a top for your nighttime midi look, make sure to wear a more form-fitting shirt that highlights your waist. 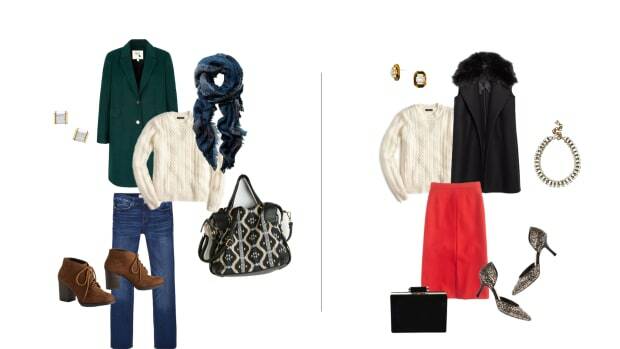 A button-up or a billowy blouse would dress it down, so go with a turtleneck for a more fashion-forward edge. A sure way to dress for a fancy night out on the town is to wear black. New Yorkers have mastered wearing black on black because it makes for an outfit that is appropriate for any after-work activities that require a more upscale look. For this look, we’ve added a black leather jacket and a black clutch to round out a bold ensemble for any evening activity. 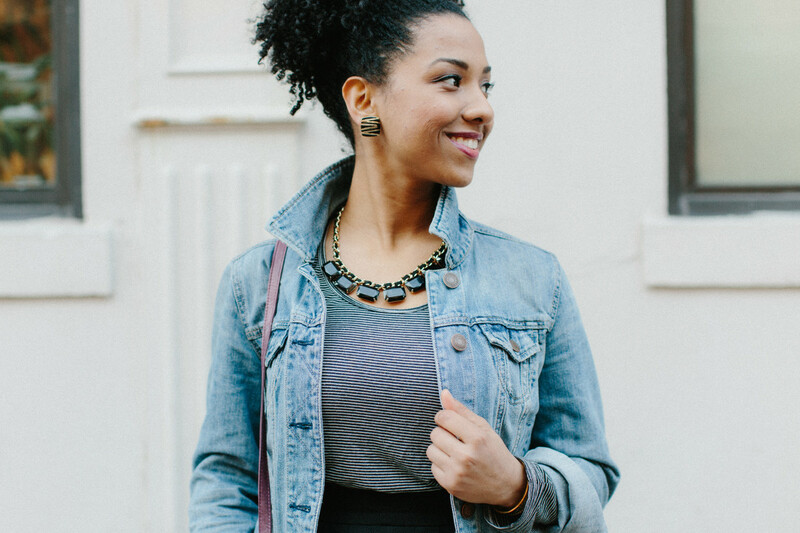 Looking for a reason to wear that jeweled statement necklace that’s extra eye-catching? Adding an extravagant statement necklace will break up the neutral colors in your outfit while also creating a look of regality. 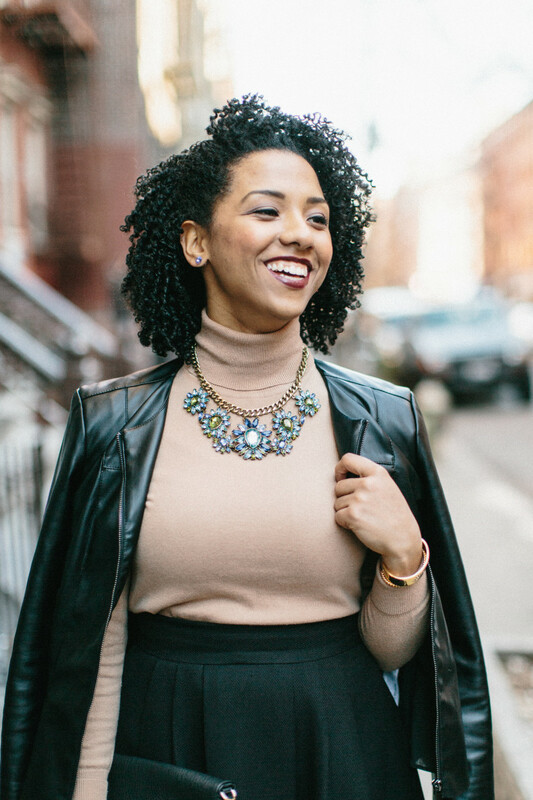 The intensity of the statement necklace will be balanced out by the outfit’s minimalist styling, making it the perfect nighttime look.